RUSH: We got Steve in Manhattan Beach. Welcome, sir. Great to have you on Open Line Friday. Hi. CALLER: Thank you, Rush. Um, like the New York Times, words fail. What an honor this is. RUSH: (laughing) He’s talking about the Times saying they’ve run out of words to describe the good jobs numbers. I appreciate that, sir. Thank you. CALLER: Yeah. You know, this Open Line Friday is the closest that I’ll ever come, I’m sure, to having a cigar and brandy with you after the ladies have been excused from the dinner table. So I wanted to just say I think across the years I’ve listened to you that I’ve never really heard you talk about your own mortality and what you feel about that, what the meaning of life is, so to speak, and where you’re destined to go from here. I don’t know really… Words, again, fail in terms of putting it the right way now that I’ve got the opportunity. But I just would like to take you away from for a moment from hair-on-fire libtard-type stuff and hear what you have to say about that kind of an issue. RUSH: Okay. Just so I answer you honestly, you are asking if I believe in life after death, that kind of immortality — ’cause everybody knows nobody lives forever — and you want to know, in a broad sense, what I think the meaning of life is. Meaning: What is all this, where is all this, and why are we here? CALLER: That would be a wonderful summation, yes. RUSH: Well, I’ll tell you I think about this constantly. There’s not a day that goes by that I don’t spend some time pondering this, and it doesn’t take much to trigger it. 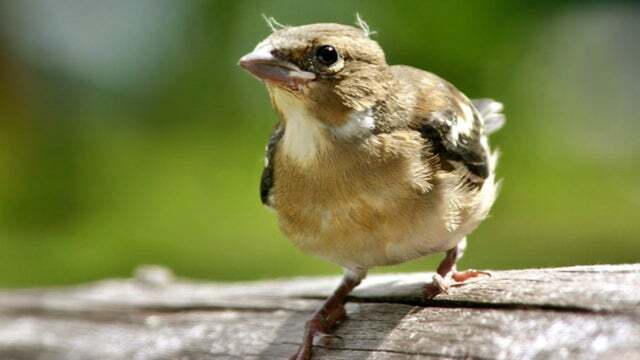 The story that I told when I got back here to work on Tuesday of a little bird that fell from the roof at dinner on the golf vacation last week? RUSH: Did you hear that story? RUSH: When I saw that little bird, it only knew one thing: Surviving. You could tell. It didn’t want to die and wanted to live. We didn’t know whether it was hurt or not. We didn’t know at what stage of life it was. You know, it was a baby, but it was so tiny. It triggered… At that point, it triggered thoughts in the magic and the majesty of all this and the folly of thinking that it just randomly happened. RUSH: I do not believe in the randomness of all this, of the universe. RUSH: I believe in the total complexity of it and the inability of any human being to understand it. But we’re gonna continue asking questions about it. I just believe that most of the questions human beings have about these kinds of things are questions we will never be able to answer in this life. RUSH: But I believe we all have a soul. The soul is the animating aspects of each of us. It’s our consciousness. Our souls are what make us unique, because everything about our bodies is identical, other than size and appearance. But in terms of function, number of teeth, organs, we are 100% alike. But it’s the soul, and each one is unique, even with twins. There are no twin souls. Every one is unique. RUSH: “How does that happen?” I ask myself, and I believe that… Well, to cut to the chase, I believe all of this is the result of — for lack of a better word — creation. It has to be. It’s too intricate. It’s too complex. It’s too microscopic. Our sun is the perfect size. We are the perfect distance away from it to survive. Not very far or close in either direction and we’re a burning mass like Mercury or Venus, and there are none of us. But look. I’m up here to a break, but I will continue this when we get back, for a little while. RUSH: We are back in the midst of an answer to a question from Steve in Manhattan Beach. Steve, are you still there? CALLER: Well, I just want your own personal views of life and death and what that… You know, I’m a year older than you and I also do a lot of meditation on this subject every day. RUSH: Are you thinking…? Are you more conscious of dying today than you ever have been because of your age? Is that why you’re pondering this? CALLER: You know, I’m not sure that is it exactly, but I’m much less afraid. I’m not afraid at all, I should say, whereas in my youth if I contemplated the eternity of lying around in a coffin, I definitely got a little upset at the idea. I don’t feel that way at all. I feel that there is a deep, deep beyond that obviously none of us know. Not one of us returned. Even if Abraham Lincoln sat up in his coffin today, no one would believe what he had to say. Well, I mean, to say that not everybody would think that’s what’s going to happen to them, so to speak. You know? It’s a huge subject, Rush — and, as I say, it’s brandy and cigar time. That’s all. 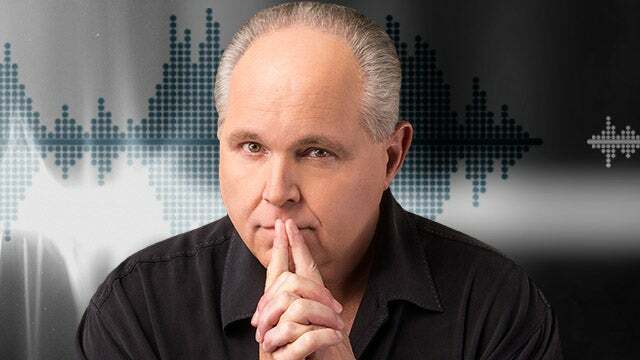 RUSH: Well, I was telling the truth. I ponder it constantly and not out of fear of anything, but curiosity. I’ll share just one example of what I’m talking about. One day last week — and nothing triggered this. It was just I was having fun with the cat, feeding my cat and so forth. Something just hit me. 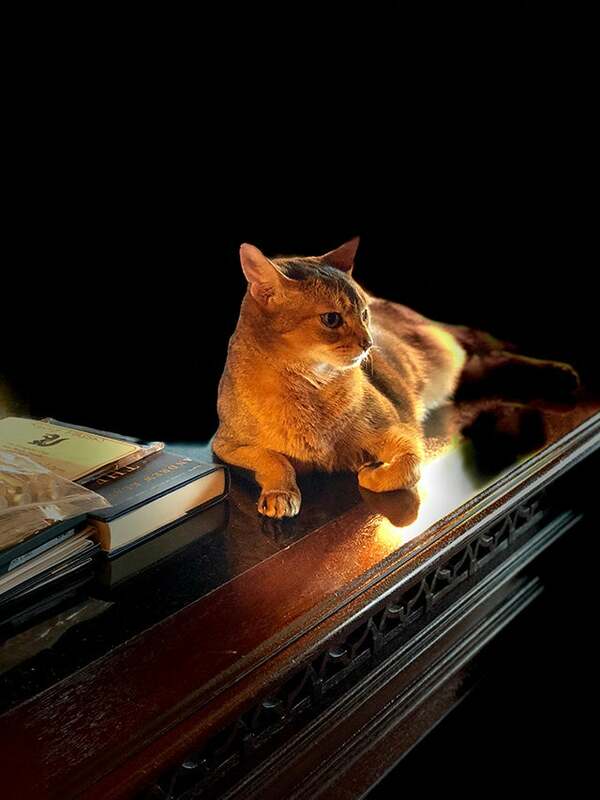 I have Abyssinian. The Abyssinian breed is the cat the Egyptians, the ancient Egyptians thought were gods. It is Abyssinian cats that they drew on the walls of their tombs. They were considered godly and they were guardians of the pharaohs. Photo taken in portrait mode, stage light setting on an iPhone X. Well, I’ve got one of those cats, and whatever number of thousands of years, that cat has not changed. It is exactly as the first cat was. Now, I believe within-species evolution. They can’t deny that. I don’t believe evolution as a form of creation, and I don’t want to argue with people about that. Wherever somebody wants to tell me the modern house cat came from, I’m not talking about. I’m talking the cat hasn’t changed in 5,000 years or thousands of years. But we have. The point is we adapt; we modernize. We are able to, as human beings to improve our life circumstances, or standard of living. But animals are exactly as they were. They’re no different. They don’t live any longer than they always have. They’re just identically the same. But human beings are constantly adapting to circumstances. Well, look…. (sigh) I don’t want to get this too deep. Cats can adapt. All animals can adapt to climate and weather, but I’m talking about their intelligence, their ability to adapt. Like, a cat cannot build a hospital and never will be able to build a hospital. A cat can’t do that. Nor can a porpoise or a dolphin and so forth. And it fascinates me. I believe that… I have a phrase: “We all only get one life.” Most people, because of the nature of life, take it for granted. It just is. It’s busy, and it’s distracting, and it’s chock-full of things so that the amount of time people actually have to contemplate what it is… What is life, how does it happen, where did it come from? I’m constantly thinking about these things. As I say, any number of different things can trigger it, and I always resort to God. God is always the answer for me on these questions. That’s where my faith is, and I believe there are answers to all these questions, but not here. I don’t believe… One of my reasons for believing in God is that we, as created, have this magnificent ability to be curious and dream and imagine and to want to know whatever we want to know. But much of that we will never know. You’re gonna continue to ask, but the answers are simply not here. We’re not capable. We’re not smart enough. We don’t know enough. Yet we have these questions. What kind of a God would create beings who can ponder all these things, such as heaven, if it didn’t exist? Would be an ultimate cruelty, to create beings that can live their lives or try to live their lives in such a way to achieve these great things and at the end of it not be possible because it doesn’t exist. No way to prove any of this. To me, it’s faith. But my faith in all this is actually the foundational root for many of my what people would think are political beliefs. Climate change. The idea that human beings (chuckles) can alter the climate of the planet to the point of destroying it to me is patently absurd. We do not have that kind of power. We’re not even close to having that kind of power! We don’t even understand where this is. The universe is somewhere. Where is it? This is asinine to me. But this is what suffices as liberal thinking about all this, the inferiority. Yet in the midst of all of this inferiority they assign to us, on the other hand they tell us we’re destroying the planet by what we invent! We’re destroying the planet by virtue of our adaptation ability, by virtue of our ingenuity, by virtue of our innovation, which is all oriented toward increasing our standard of living and quality of life. They want to tell us this is destroying God’s creation? Bohunk! It’s absolutely absurd. This informs my view on life. There’s no way… The concept that we all only get one? (sigh) To me, it’s mind-boggling. Just life itself. It’s not enough to say it’s precious. But everybody is so busy and so caught up and so immersed in themselves — and that’s nature; it is not a criticism — that few people really take the time to treat it as the unique specialty that it is. If every day people lived with the understanding, “This is it. This day, I can’t get back. This day, I’ve got to make the most of it. “I’ve got to do” whatever it is you want to do that expands your life or expands your happiness or level of understanding or what have you. But most of life for most people is one drudgery to the next. This, again, is not a criticism. It’s nature. It’s the way it is. But I stop and ponder these things. I think about them, and I do it in a constant state of awe over the creation of everything and gratefulness that I’m part of it, and I wonder what’s next. Because I firmly think there is. I haven’t the slightest idea what. But my dad when I was 6 years old, he told a story that I asked him why did he believe in God. He says, “Here I am; I’m your dad. You’re 6, and I want to answer your question seriously, but you’re 6. What the heck are you gonna understand? I can’t start quoting scripture to you.” So he evolved a theory that I just shared with you, that he believed in a loving God that created all of this and presented humanity with the concept of eternal life, heaven, afterlife, however you want to refer to it — and a mechanism and means by which to achieve it. He said to me, “I just can’t believe that a loving God would be so cruel as to create human beings who could ponder and attempt to achieve such things if they don’t exist.” He was just trying to use simple logic with me. Had I been older, he would have gone to various scripture in the Bible, which would have answered the question. But it always stuck with me, ’cause it made sense, if you believe certain basics: loving God, God of creation. It just all made sense to me, and I actually feel very sorry for people that don’t believe in this. It’s the essence of believing that there are things much greater than yourself, and the sooner any human being learns that in life, the better off that person’s gonna be. Most people… Not most. A lot of people, they are the center of their universe. Again, that’s nature too. This is not a criticism. But when anyone learns that there are things much bigger than just themselves that they are a part of, it changes their view on life, their own life, their pursuits, and their expectations, ambitions, desires. Of course it manifests differently in everybody because everybody is different. It is impossible… There are no two identical souls, and that forms yet another belief about how socialism and communism are simply not possible, based on equality, equity, sameness. It’s flawed from the get-go. It is in direct violation of the essence of humanity, as I see it. The essence of humanity in the eyes of God is individuality. Stop and think of all the human beings that have ever been conceived and born and live. And not a single two of them are alike, and never will be! It boggles my mind. So much of this boggles my mind. I reach a point where I’m not able to continue because it’s beyond my ability to understand, and that reaffirms my faith in something much bigger than all of this. But do I believe in life and death? Yeah, you have to. They both exist. That’s pretty much it. That’s much longer than I intended to spend on this, but I think that will suffice in giving you a thorough explanation of how I think about this. RUSH: Now, one more thing. Life is everywhere, and the business of life is life. That little bird that fell off the roof, it was gonna survive. I’ve been blown away at how life makes sure it continues. There’s one place, there’s one place at least in the Democrat Party where life does not exist. You know where that is? Stop and think. Life is everywhere, is it not? I mean, everywhere you look, there is life, and it’s doing everything it can to live and to propagate and survive. Except… (interruption) Well, you’re close. You’re close. There is one place, many places in the world, if you’re a Democrat, where life does not exist, and that is — dadelut dadelut dadelut dadelut — the womb. I understand all that. I was simply trying to relate to the most people. Christians’ access to heaven is the result of belief and acceptance of Jesus Christ, our Lord and savior, and even people who know that nevertheless think that good works is a part of it. Even though it isn’t because it can’t be because nobody would ever achieve heaven if that’s how you got there because we’re all sinners. I get that. I was trying to relate to a majority of people in explaining a certain aspect things.